In the last couple of weeks national1 and international2 press reported on the problematic ethical practices of predatory journals. Several news sources investigated the practices and found papers authored by researchers from across academia and industry in online publications that charge large upfront fees to publish open access work that does not undergo full peer review or proper editorial checks. 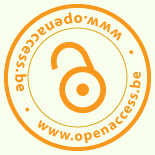 In the wake of the recent dismay over the unethical practices of predatory open access journals, Gwen Franck wrote an op-ed in De Morgen making the case for Open Access publishing and distinguishing between predatory open access journals and FAIR open access practices. In the opinion piece3 she stresses the need for a shift in scientific publishing to FAIR open access, training on institutional level and for government to support and invest in OS infrastructure. Previous Previous post: 8th International Conference on Information Law and Ethics. Modern Intellectual Property Governance and Openness in Europe: A Long and Winding Road?